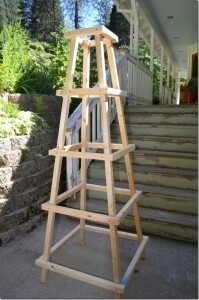 Flower Patch Farmhouse website shares how to build a garden trellis obelisk project. This is an amazing garden structure that can be built with basic skill and just a couple of power tools. Can you see flowers or climbing vegetables growing wrapping itself upwards towards the sky ? Previous story What is Prepping and Why Should I Prep?